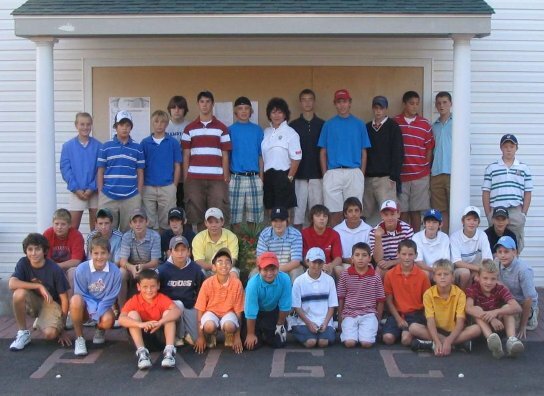 Pittsburgh North offers a number of VALUE opportunities for the Junior Golfer (10 - 17 years) to play and improve their game and create lifetime relationships during the summer school break. “Sox” Price began in 1950 to offer all juniors an affordable access opportunity for course play. The program runs Monday thru Friday from June until the last of August during school vacation. After school begins Jr Members rate* is good till end of 2018. Request your Junior Membership cards at the golf shop counter 2nd week you play. This card must be on your bag when on course to identify you as JrGolfAssociation Member. $6 9 Hole fee 9:30 AM - 2:30 M-F and After 4:00 PM Weekends members may play The Fox (must pay BEFORE play AND make starting time on pro shop sheet) This is good thru the whole 2018 year. Play may be cancelled on days course has large event/outings. All players wear appropriate golf attire, shoes, and have their own set of clubs. All players are expected to conduct themselves in a sportsperson-like manner treat the course and fellow players as you would like to be treated. It is understood that anyone participating in this program can play the game proficiently enough to be on the course and not hold up play.